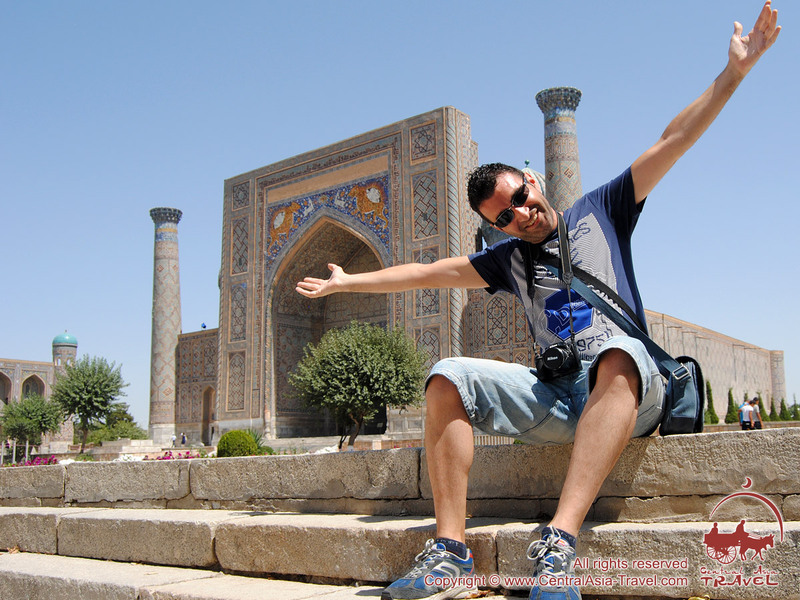 Uzbekistan is a country of warmth and light where you can enjoy the clear sunny sky over 300 days a year. 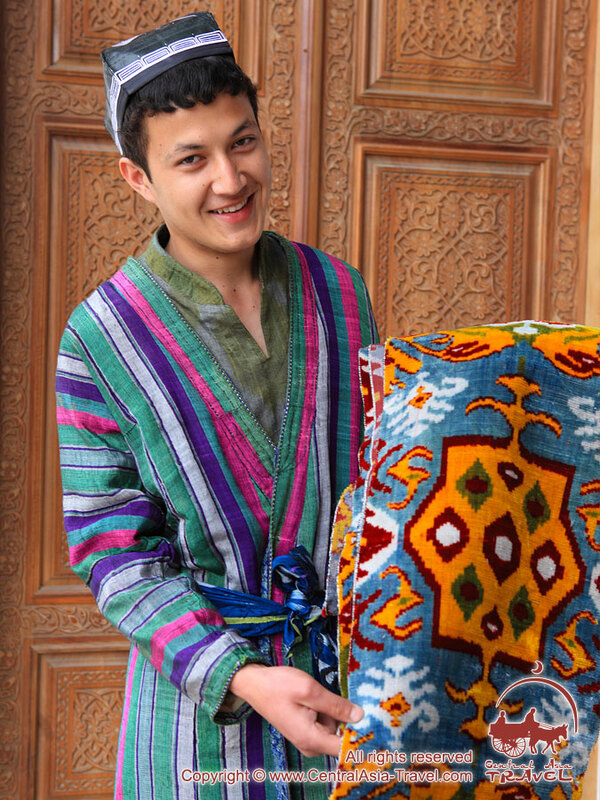 The warmth of the sun in Uzbekistan is complemented with the warmth and hospitality of the local people, which gives you the great feeling of comfort and coziness. The Uzbeks are famous for their hospitality but you can understand what a guest means for the Uzbeks only when you sit at a feast table prepared in your honor in an Uzbek home. 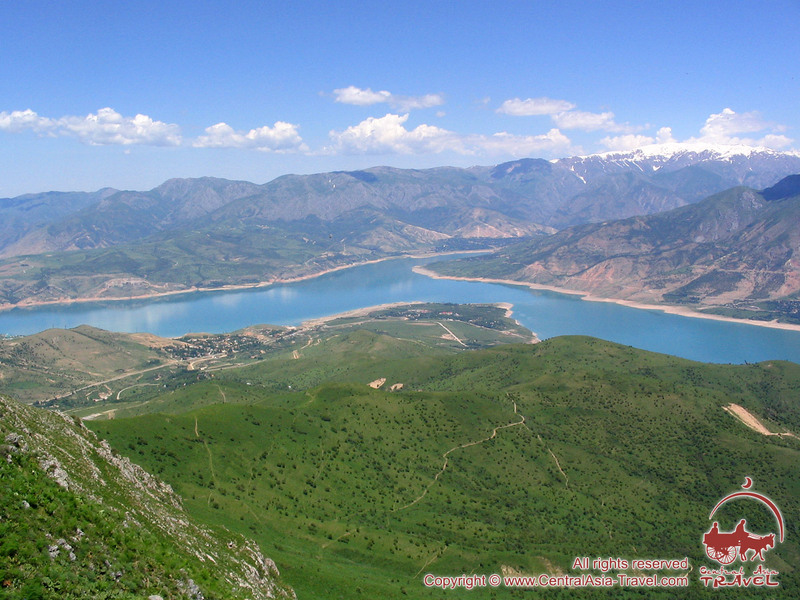 Uzbekistan boasts very diverse terrains and natural attractions. They are the impressive sand dunes of the Kyzylkum Desert; they are various plain and alpine lakes, steppes and green oases; they are the majestic mountains of the Tien Shan not far from Tashkent, with their breathtaking landscapes and healing resorts, with thousands of streams feeding the great rivers of Amudarya and Syrdarya; they are fertile valleys with orchards and gardens yielding the tastiest Uzbek fruit and vegetables, melons and grapes; they are numerous cotton fields… There is also a number of most interesting nature reserves with their unique flora and fauna in the country. 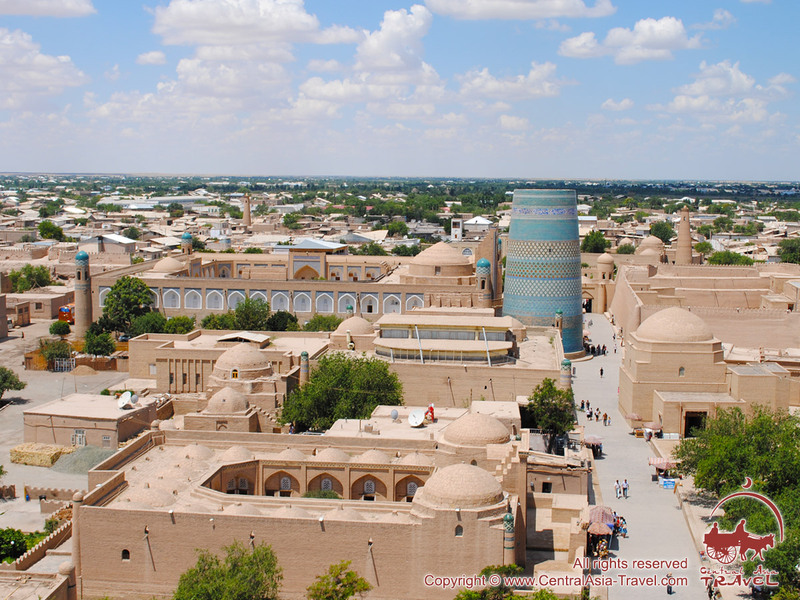 Uzbekistan is also a country of world-famous historic cities and sites of ancient settlements with their most impressive architectural monuments. 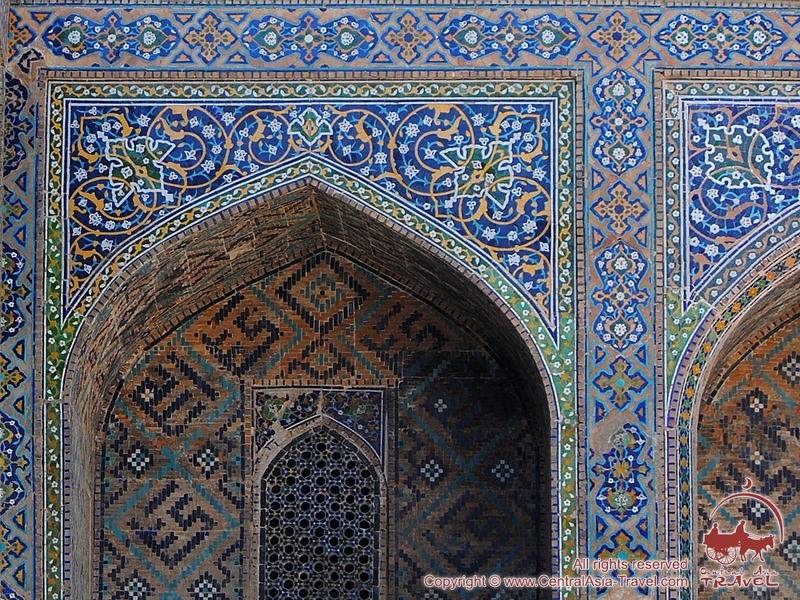 During its long and rich history, the predecessors of today’s Uzbekistan experienced a lot of everything. They were involved in the growth and decline of the world’s most powerful empires of Alexander the Great, Genghis Khan and Tamerlane; they suffered from a lot of wars and massacres - and enjoyed outstanding blossoms of art and science. 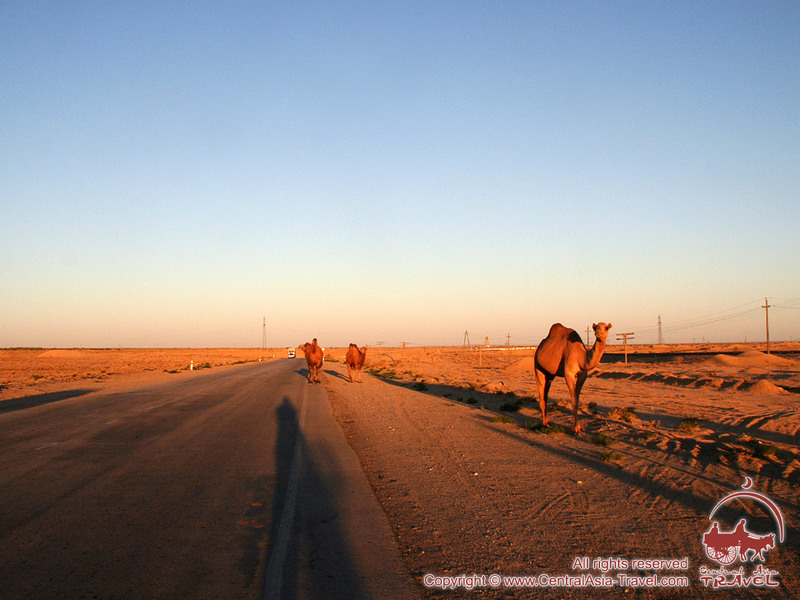 They were crossroads of civilizations’ interaction for centuries where various cultures met and exchanged their values; thousands of caravans crossed these lands along the Great Silk Road connecting the Middle East, Mediterranean and Europe with India and China. Foreign achievements became part of the local culture then, complemented it. 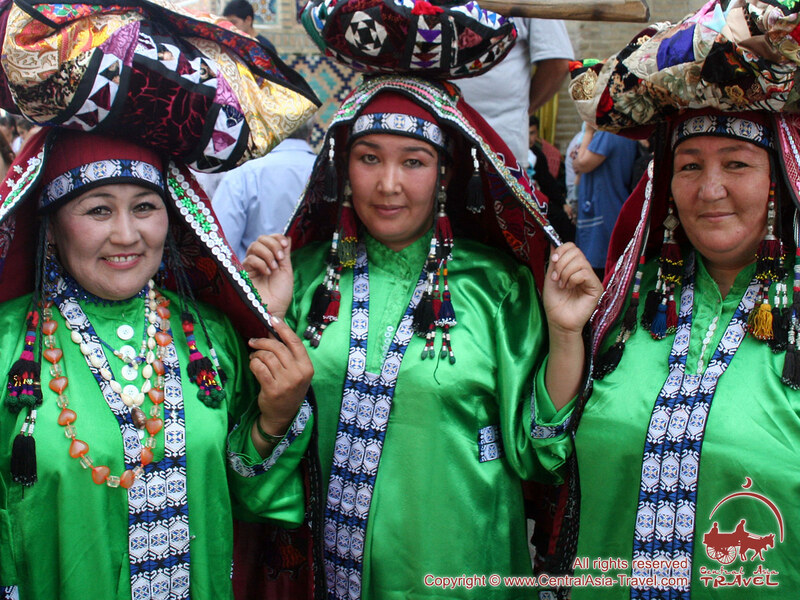 Uzbek traditional cuisine, for example, adopted and modified recipes foreign merchants once shared with the locals. 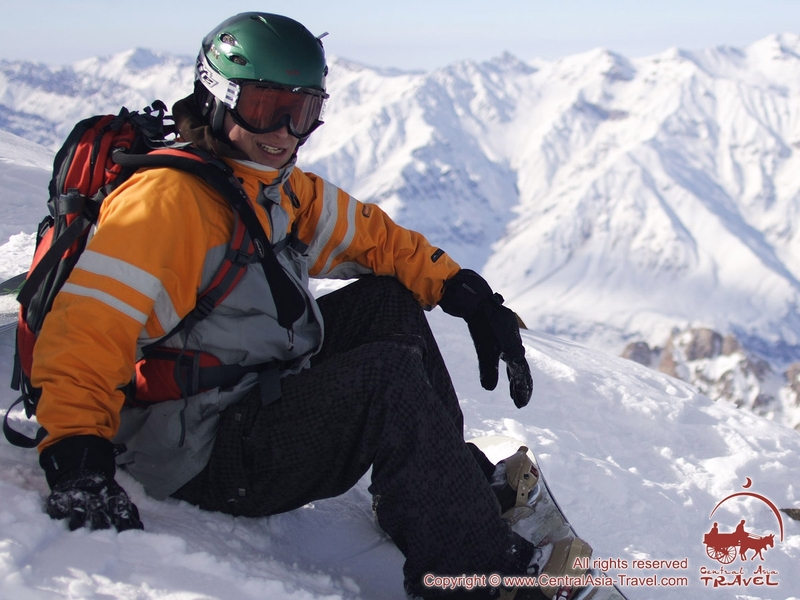 Today’s Uzbekistan has a developed tourism infrastructure with various services provided. 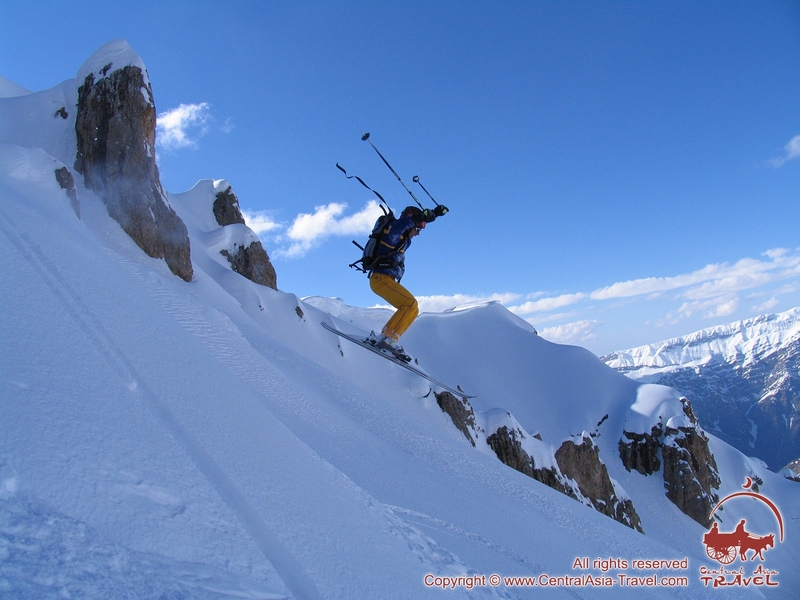 An excellent holiday in the country can be spent depending on income and preferences: you can stay either in a five-star hotel or in a modest traditional Uzbek guesthouse; you can opt for an exciting adventure tour (jeep safari, skiing and heli-skiing, paragliding, mountain hiking and climbing, etc. 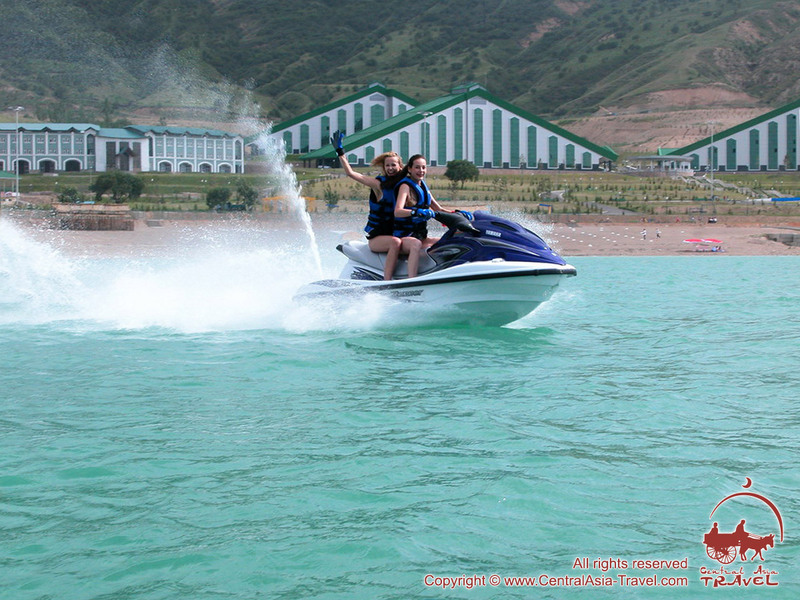 ), a beach leisure stay, a guided sightseeing tour, etc. 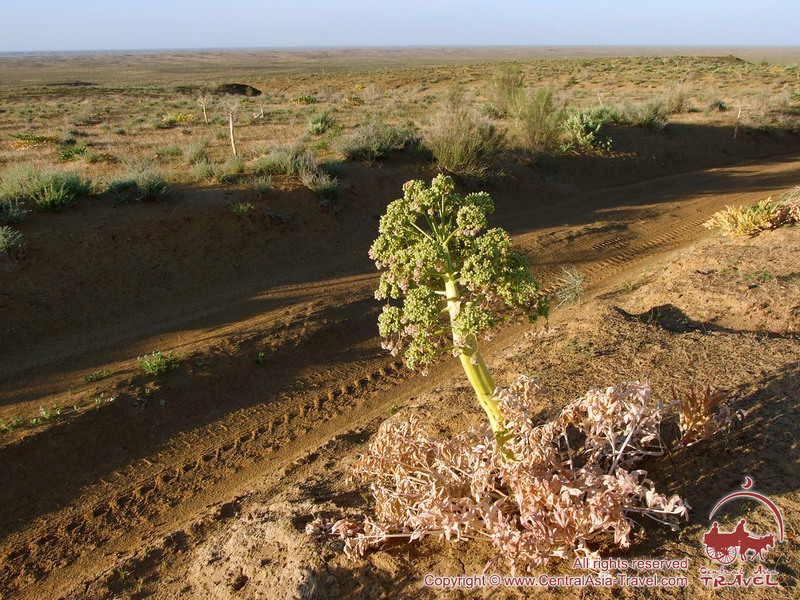 Almost two-thirds of the country’s territory is desert and steppes; the rest part of it is mountains, valleys and oases. 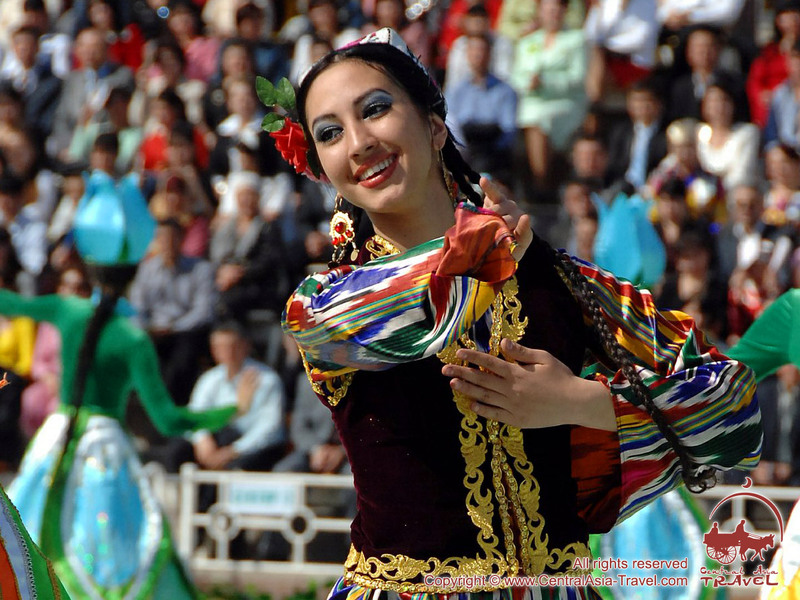 Uzbekistan consists of 12 provinces and an autonomous republic (The Autonomous Republic of Karakalpakstan, also spelled Qaraqalpaqstan). Population: over 29 million (2012 estimate): urbanites - 37%, and rural population - 63%. The density is 60/km². 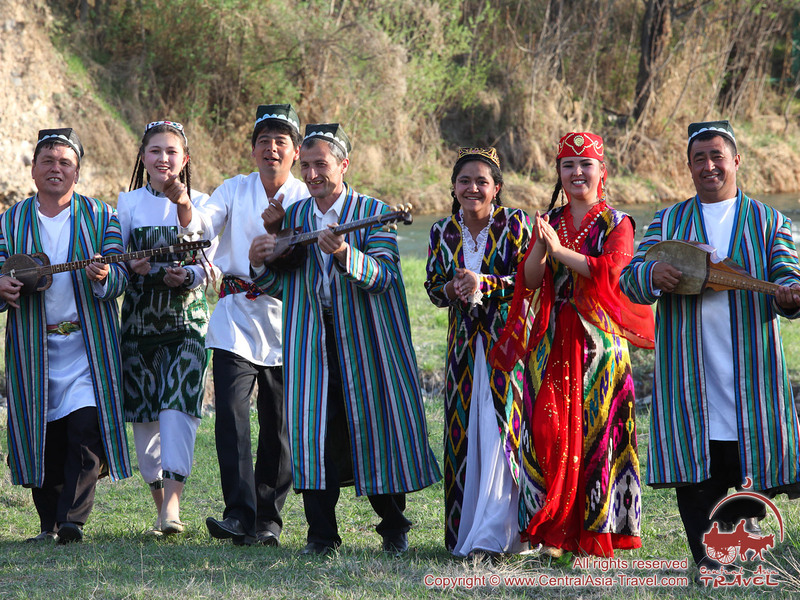 The ethnic structure: Uzbeks - 80%, Russians - 5.5%, Tajiks - 5%, Kazakhs - 5%, Karakalpaks - 2%, Tatars - 1.5%. Government: Uzbekistan is a presidential republic whereby the President of Uzbekistan is both head of state and head of government. Executive power is exercised by the government. Legislative power is vested in both the government and the two chambers of parliament, the Legislative Chamber and Senate. 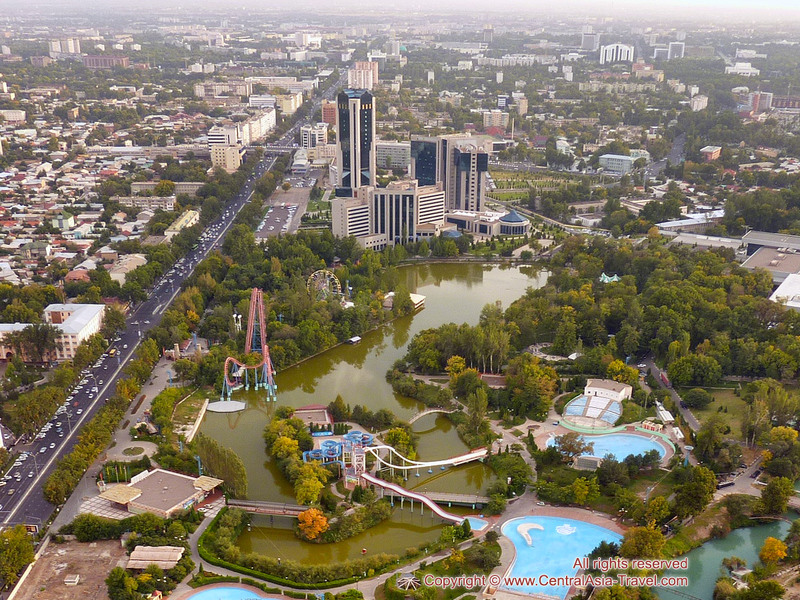 The capital of Uzbekistan is Tashkent, with a population of over 2.5 million. 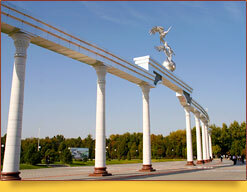 Tashkent is the only Central Asian city which has an underground railway system (Tashkent Metro). Its stations are probably among the world’s most beautiful. Electric power: 220 V AC, 50 А; CEE 7 standards 2-pin plugs and sockets. 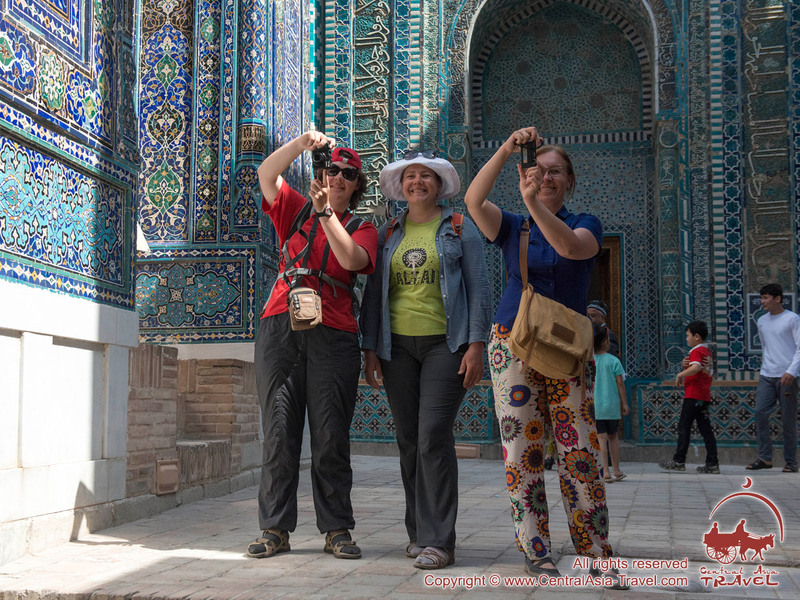 Traveling about Uzbekistan is possible at any time of the year but the best periods to come are from March to July and from September to October inclusive. 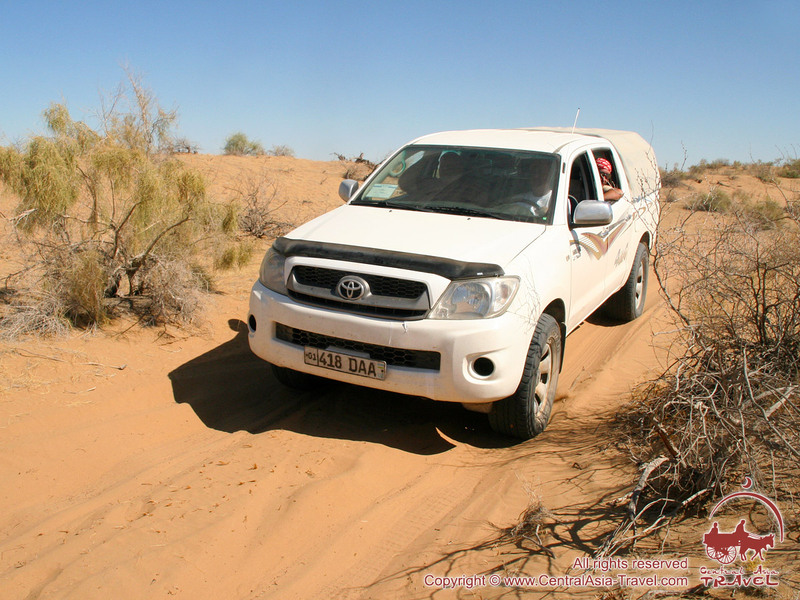 The period from the end of June to mid-August, called chilla by the locals, is the hottest: the day temperature frequently rises to 40°C and even higher in some parts of the country. 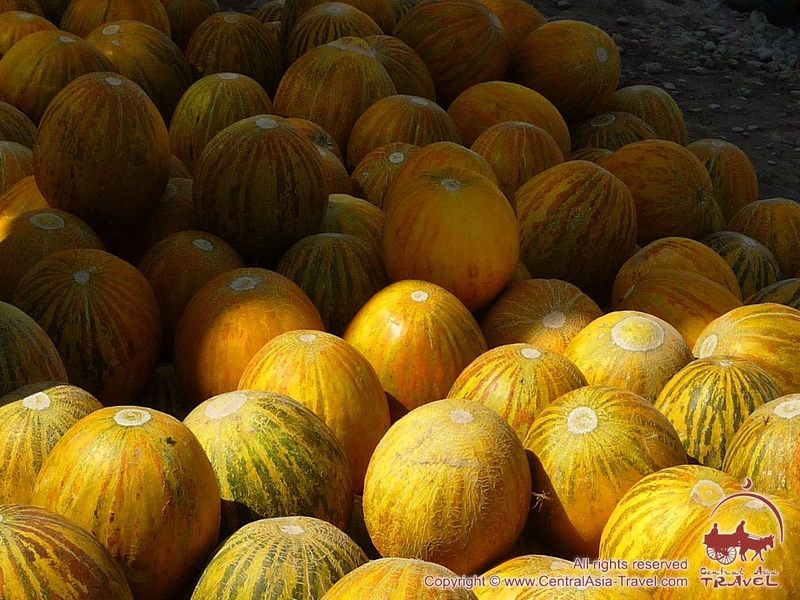 Autumn is warm and abundant in agricultural produce; the bazaars are full of a wide variety of cheap and quality fruits, vegetables and cucurbit crops. At the end of November the day temperature may still remain around 10°С. 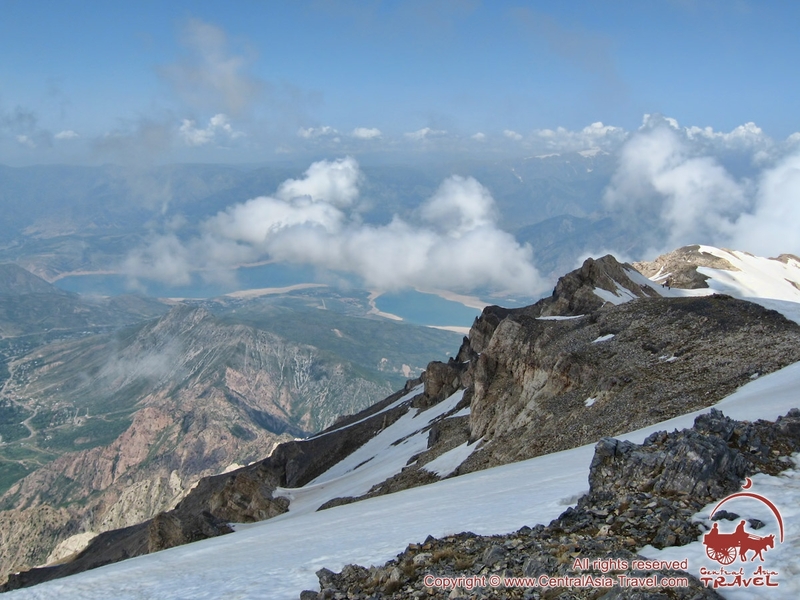 Although the average winter temperatures are not far below zero, they may occasionally drop to around minus 15° in the cities and lower in the mountains and the steppe areas. 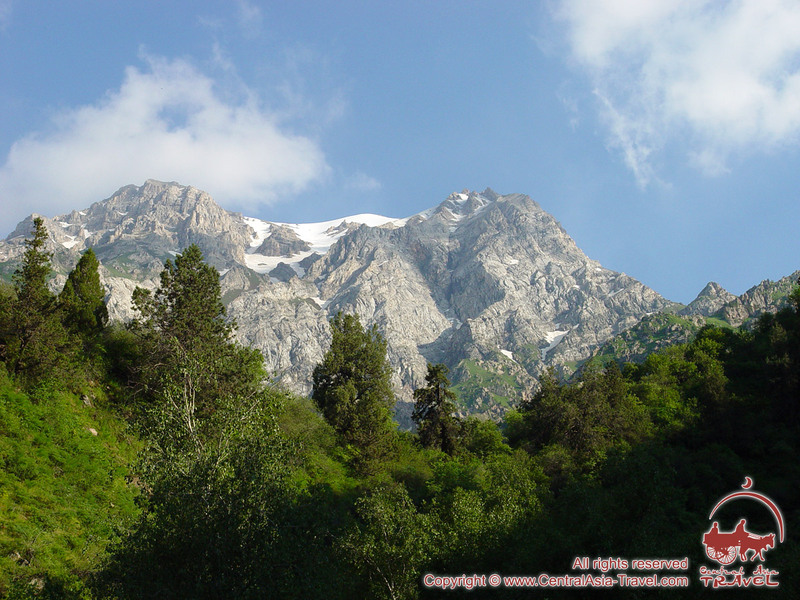 Showers, rains and snows in spring, autumn and winter are occasional; they are less frequent and shorter than in Europe, for instance. 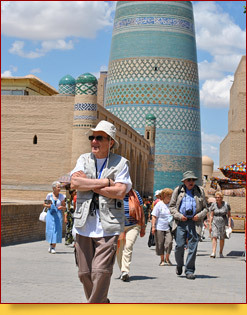 Suitable clothing for travels about Uzbekistan differs as to the season. 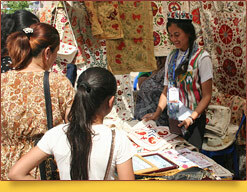 Clothes made of cotton and other natural textiles will be the best choice in warm and hot weather. You will feel best in T-shirts, light and loose trousers, shorts, or sundresses. Remember that your footwear must be comfortable, light and strong, since you will have to walk over rough ground surfaces at times. Sunglasses, light headwear and sunblock lotion should also be kept handy. If you travel early in spring (March to the beginning of April) or at the end of autumn (October to November), it is advisable to take a windbreaker, a sweater or a similar garment. In winter the day temperature may sometimes fall to minus 10°С - 25°С (depending on the location), so a raincoat, a warm coat, a warm hat or a knit cap will be necessary. 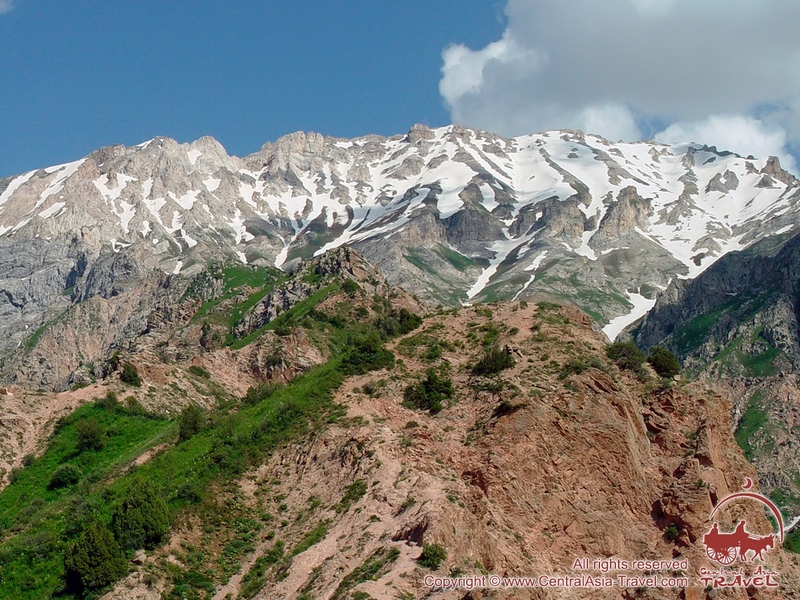 If you plan to visit the mountains, steppe area or the desert, note that the difference between the day and night temperatures there is considerable, so have warm clothes to change into at night. 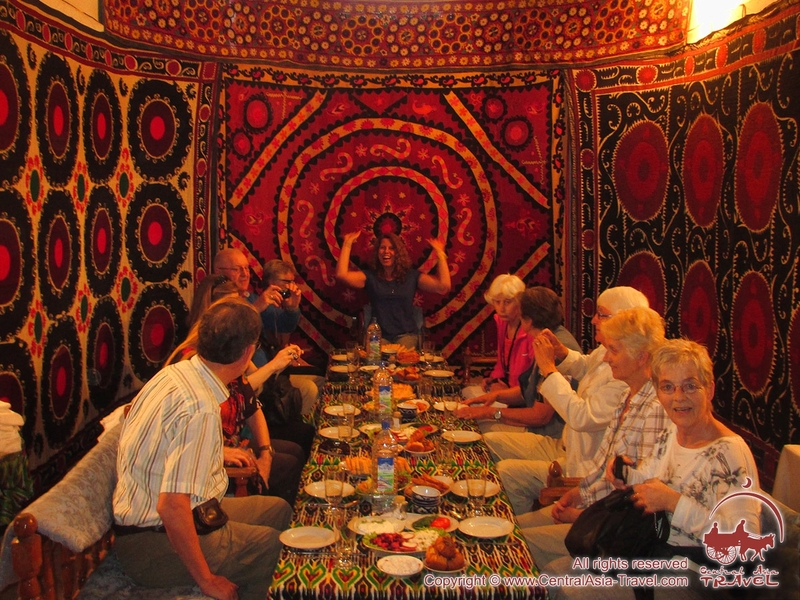 Uzbek traditional cuisine is probably the best in Central Asia. It adopted and modified recipes foreign merchants once shared with the locals during the Silk Road times. 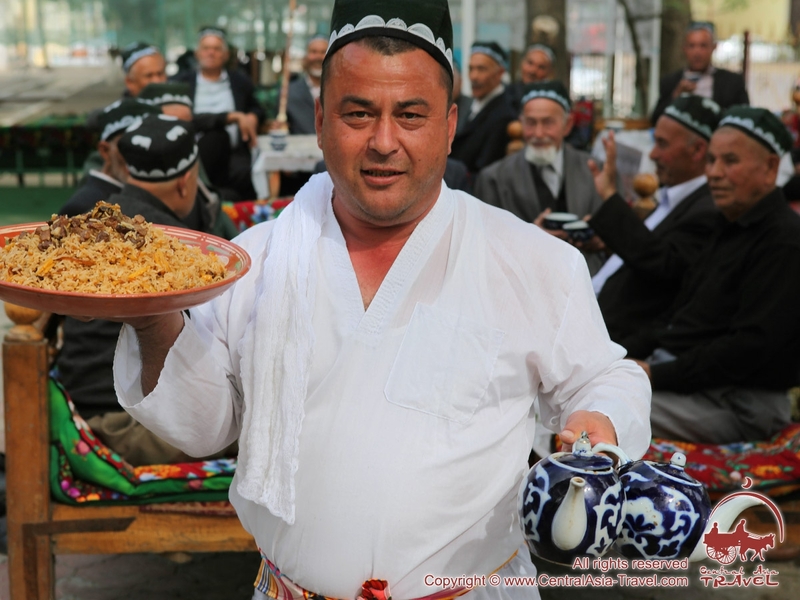 The most popular Uzbek dishes are the following: pilaf, laghman, samsa, shurpa, manti, nahud, and shashlik. • Pilaf (osh in Uzbek) is Uzbekistan’s signature dish. It is made of rice cooked in stock with oil, meat, spices, and carrots. 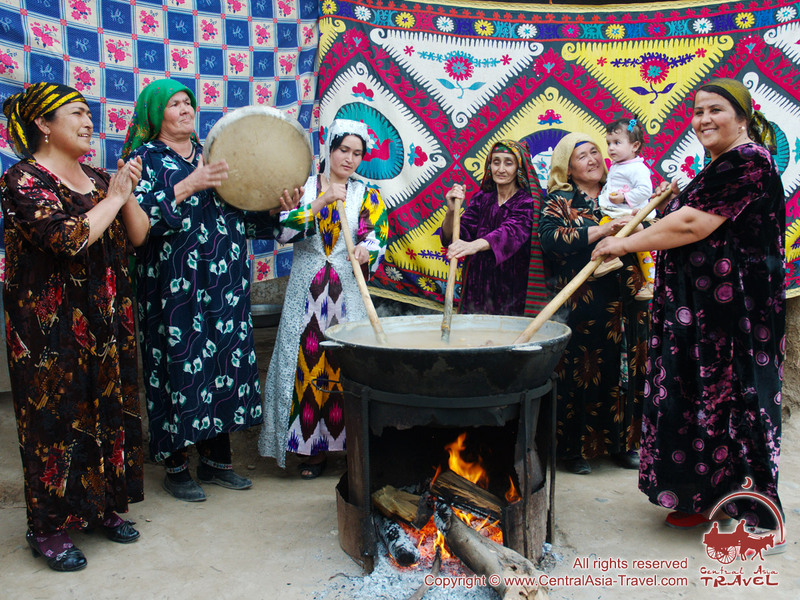 Every Uzbek region has its own unique pilaf recipe. • Laghman (also lagman) is dough noodles in gravy with small pieces of meat and vegetables. 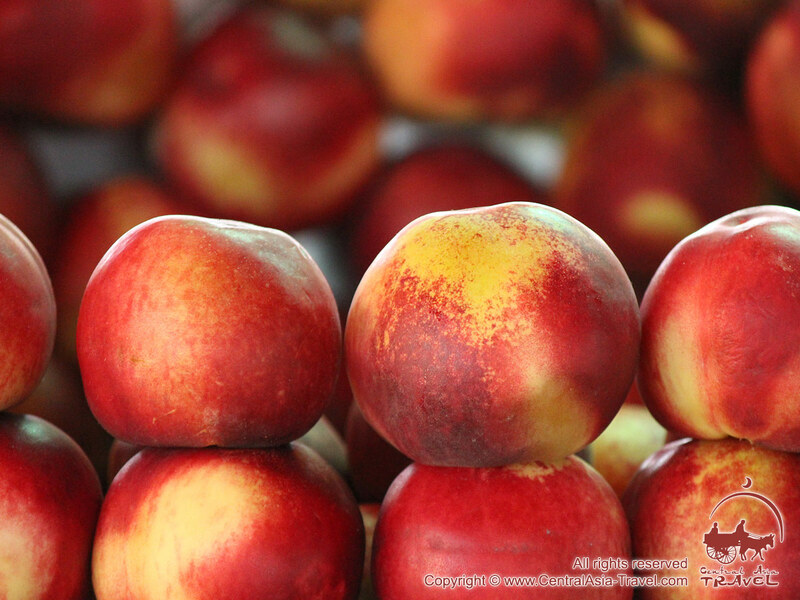 The dish was adopted from China and modified. • Samsa is a triangular or rectangular pasty filled with meat, onion and little piece of broadtail fat, or with chopped potatoes or pumpkin. 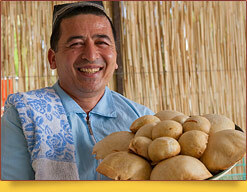 Samsa pasties are baked in Uzbek traditional clay oven tandir. • Shurpa is a soup with mutton chunks and vegetables. • Manti is steamed Uzbek dumplings with meat and potato fillings or pumpkin fillings - all with little broadtail fat pieces, onion and spices (cumin and pepper). • Nahud is braised chickpeas (garbanzos) and mutton. • Shashlik is Uzbek shish kebab made from a variety of meats and having a lot of recipes. 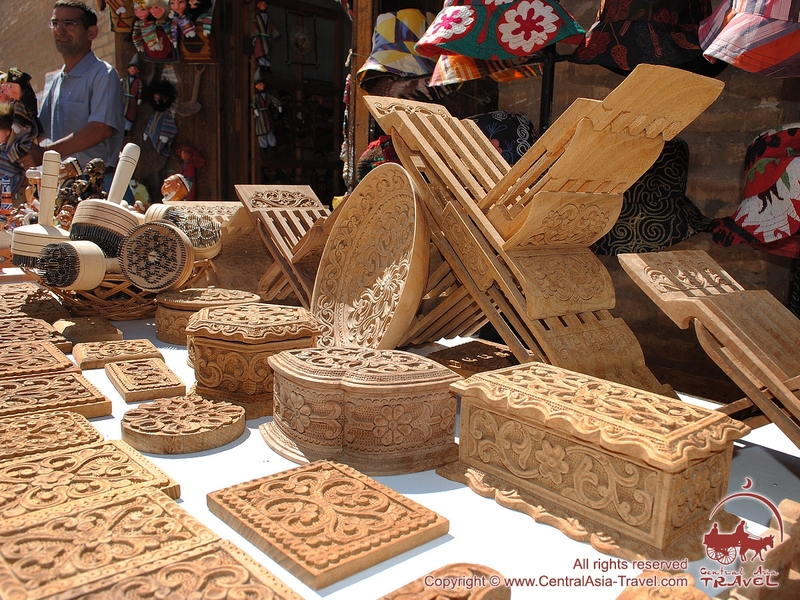 Various Uzbek flat breads baked in tandir clay ovens are also extremely popular. If you need any special diet during your tour in the country, please advise us of it in advance. 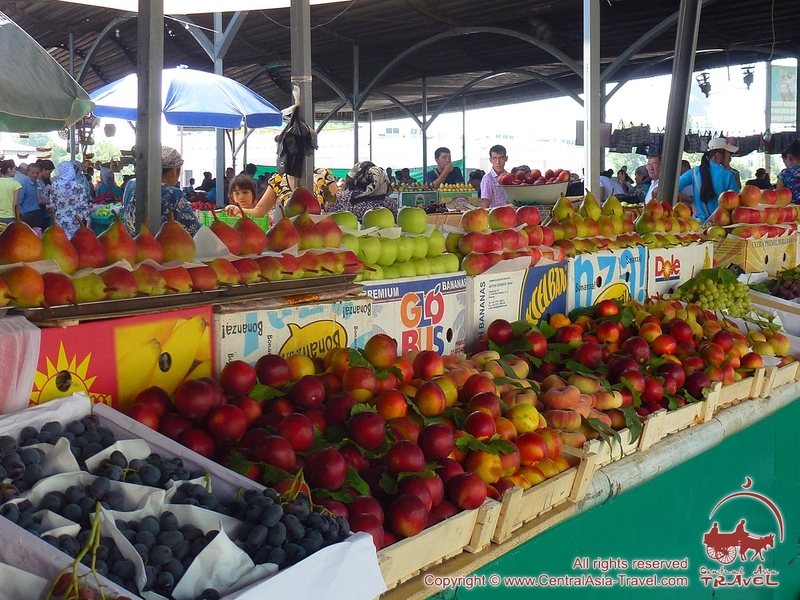 Our tours come with accommodation and breakfasts. If you wish, we can additionally reserve tables for you in local restaurants. 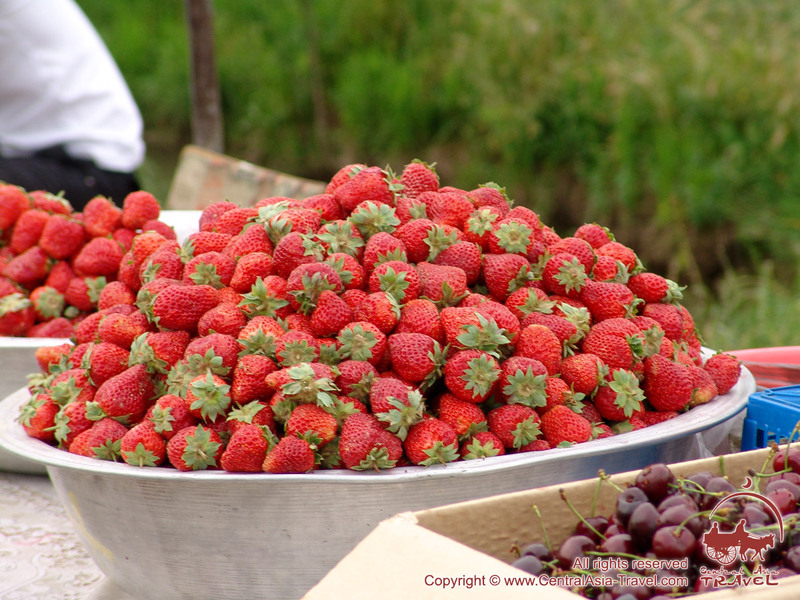 If you want to make reservations yourself, the information on how much food will cost you in the country is below. Note that the following prices are approximate and may vary depending on the location and vendor. • Dinner (two courses, salad + dessert): 10 - 25 USD. 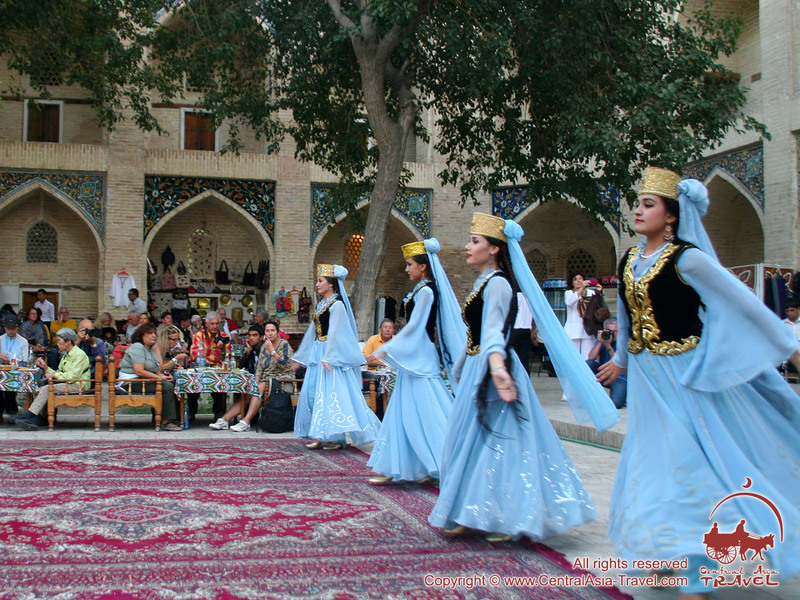 Citizens of any countries other than Uzbekistan and the CIS countries enjoying visa-free regime agreements with Uzbekistan need visas to enter Uzbekistan or travel through its territory. 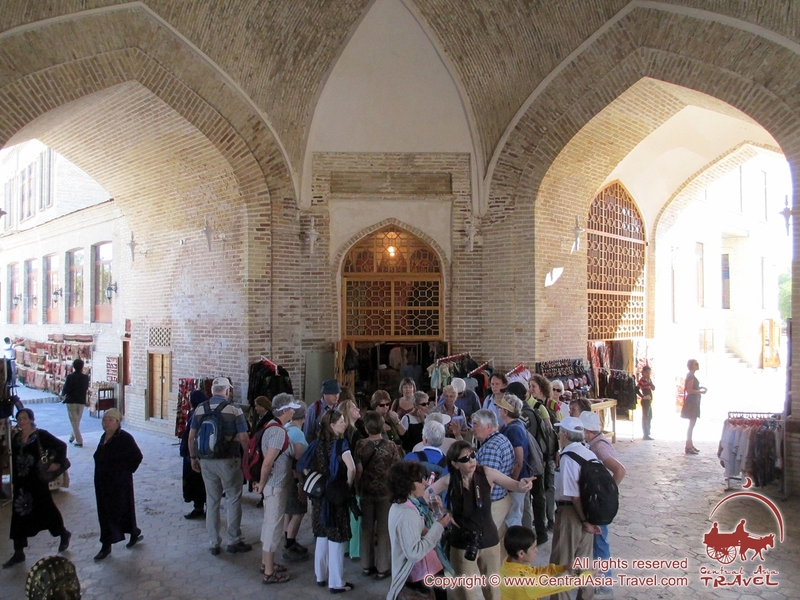 These people can obtain Uzbekistan entry visas through a Visa Invitation Letter (Visa Support) from their host parties (host tour operators or travel agencies). Citizens of Austria, Belgium, France, Germany, Italy, Japan, Latvia, Malaysia, Spain, Switzerland and the UK can apply for Uzbek visas to embassies or consulates of Uzbekistan without getting Visa Invitation Letter, independently. Please read here for more information. While clearing the customs, you will have to fill out 2 copies of a customs declaration where, among other things, you will have to state how much money you are bringing, specifying the currency. 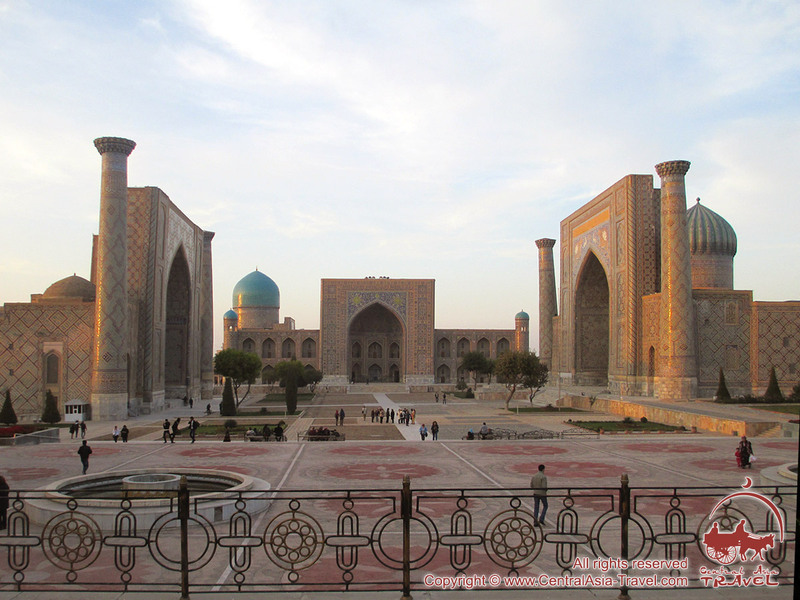 One of the copies goes to the customs officer, while the other must be with you until the end of your stay in Uzbekistan - you will need it during your clearing customs while leaving the country. The point is that you will have to fill out another declaration while leaving, stating how much money you are taking out in it, and the customs officer may request that you show you arrival declaration. If you do not have it, you will not be able to prove, for instance, that you are taking out less money than you brought in when you arrived. There is no limit on the amount of money in foreign currency a foreign national can bring into the country. If you bring in over 5,000 USD (or the equivalent), you will be given a ТС-28 certificate. If you bring in over 10,000 USD, you will have to pay a 1% duty of this sum. The sum of money in foreign currency you can take out of the country must not exceed the sum you brought in as per your arrival customs declaration. Taking out Uzbek cash (soms) is prohibited unless they are souvenirs and have little value. 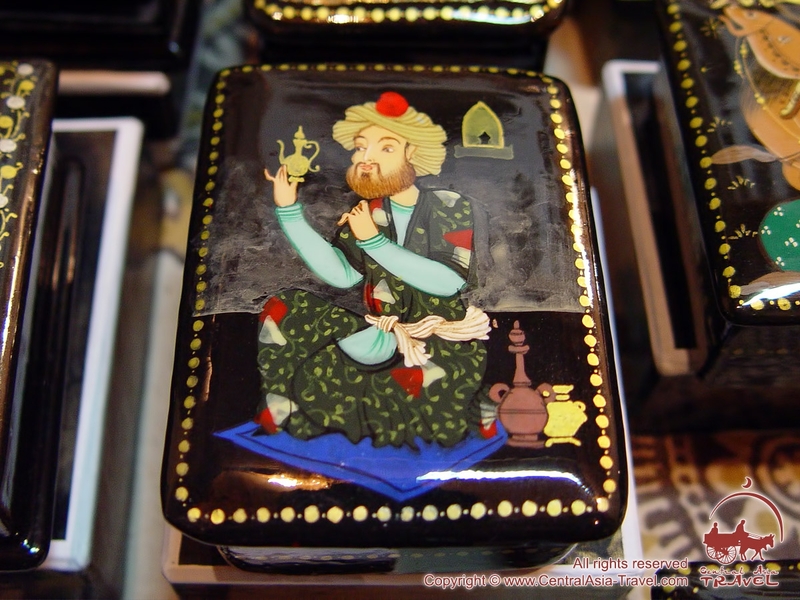 If you have to take a medicine, it is better if you to bring it with you, or ask our tour organizers if it is possible to buy this medicine in Uzbekistan before your visit. 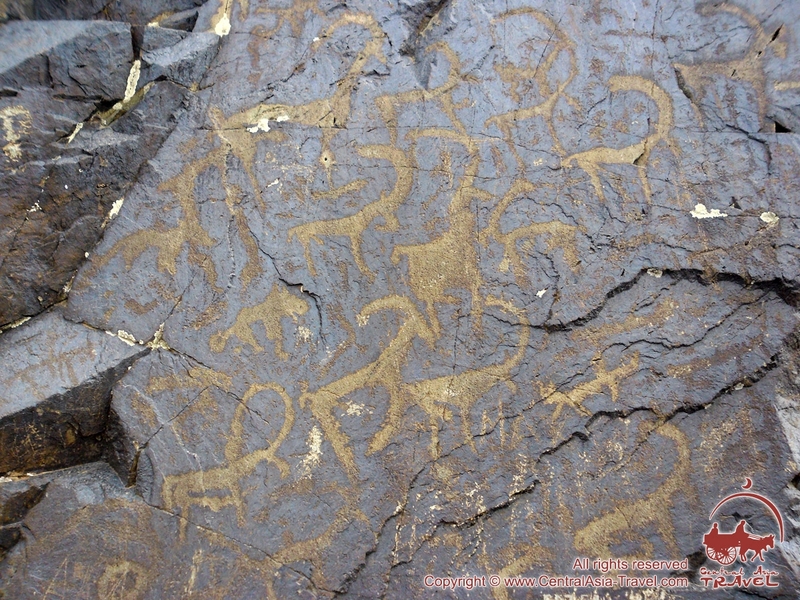 The national currency of Uzbekistan is the som (UZS). There are 100, 200, 500, 1 000 and 5 000-som banknotes and 25, 50, 100 and 500-som coins used currently. 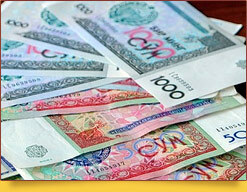 The banknotes are similar in size but vary in color; they depict Uzbekistan’s cultural and heritage sites. 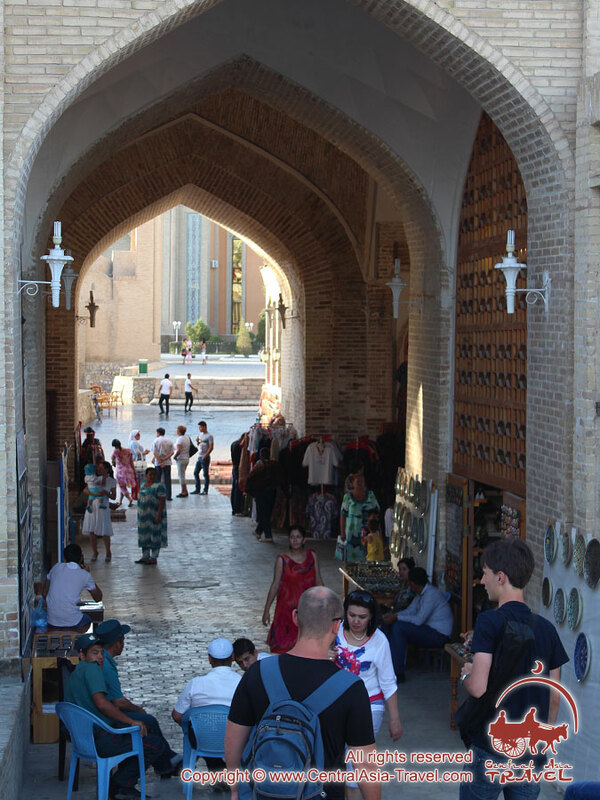 You can exchange money at Uzbekistan’s National Bank outlets, most of the hotels and official currency exchange offices commonly located near bazaars and at shopping centers. You will need your passport and stay permit to exchange money through them. There is also a black market of currency exchange in Uzbekistan. Although its rates are higher, we do not recommend that you exchange money through its dealers (commonly individual money changers in the street, usually near bazaars). There is a risk of falling prey to cheaters or be arrested red-handed if you go for their services. Using a camera at the tourist sites is permitted unless a site has a prohibition sign. They charge fees for taking pictures at most tourist attractions though. Photographing and videoing Tashkent metro, the airports, railway stations and facilities of strategic importance is prohibited. If you want to use a camera in a functioning mosque, you should first ask the worshippers there for permission. Uzbekistan has long been renowned for the hospitality of its people. 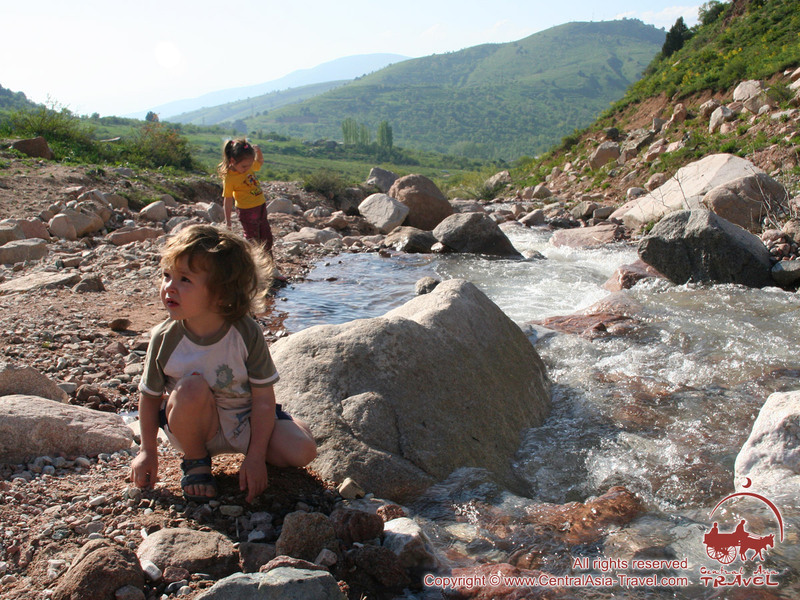 Hospitality is both their tradition, a family rule and a national feature. They always welcome every guest in their homes very warmly, and immediately offer them tea and food they have. If a foreign guest wants to repay their treatment by giving them money, they may get offended, saying ‘Why? We welcomed you straight from the heart!’ So it is always better to give them souvenirs than cash in this case. When it comes to dealing with local service workers, such as waiters, potters, drivers, guides, interpreters, etc, giving tips to them is appropriate - and of course very welcome - if you liked their services. If you did not, or you are short of cash, it is not a problem: giving tips is never a rule in the country, since service workers’ commissions are usually included in the prices you pay for the services that include their work. In the local restaurants, for instance, your bill will be composed of the price of the food you have eaten and from 5% to 10% of it for the services (of the waiter and others). 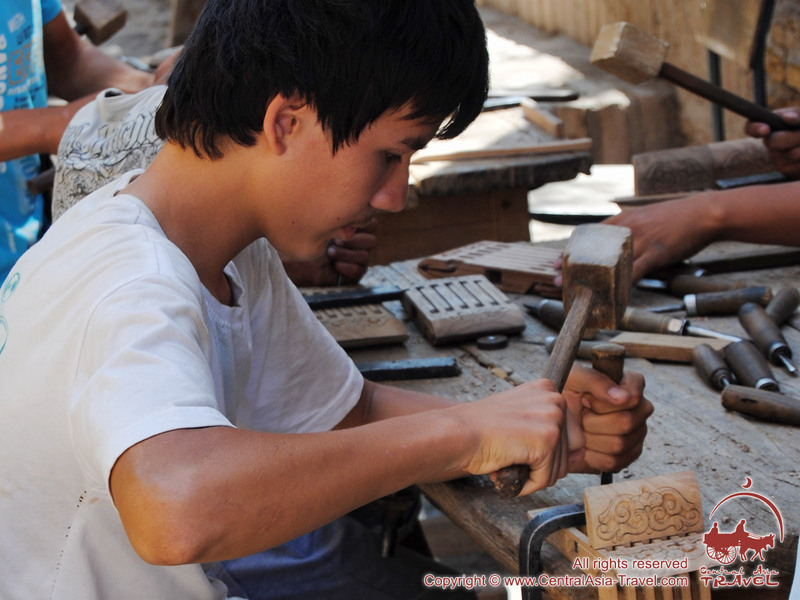 The thriving industry of traditional arts and crafts in Uzbekistan is a traveler’s attraction as well. 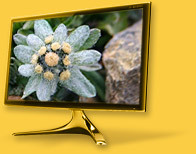 The offer is enormous, and there is always a handmade piece of superb artistry you can buy at a very modest price. 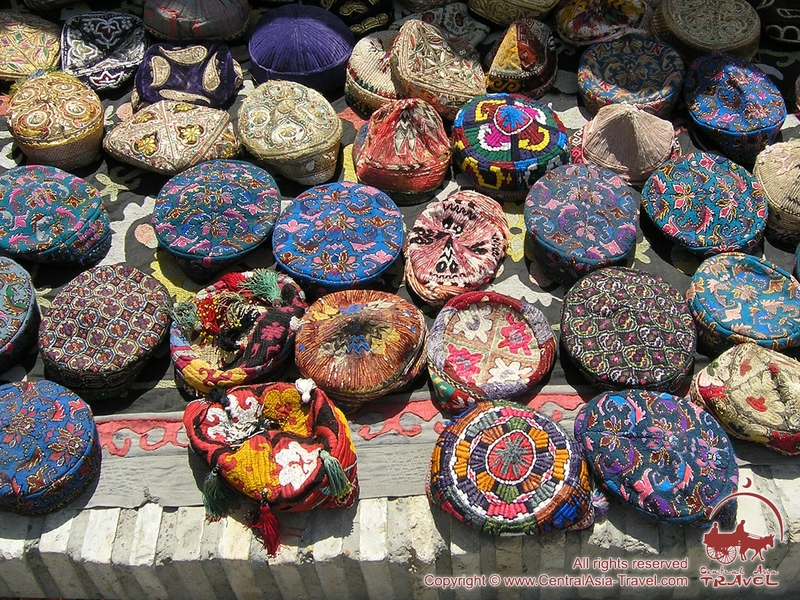 Traditional Uzbek handicrafts are very diverse and extremely appealing. They are ceramics, wood carving, ganch alabaster carving, knife forging, metal chasing and embossing, carpet weaving, silk making, miniature painting on varnished surfaces, wicker weaving, painting on leather and gourds, gold and bead embroidery, suzani tapestry making, national dress and footwear making (chapan caftans, duppi skullcaps, sharp-end mules, leather high boots, etc), household utensil making (kurpacha blankets, beshik cradles, various chests, etc) and many others. 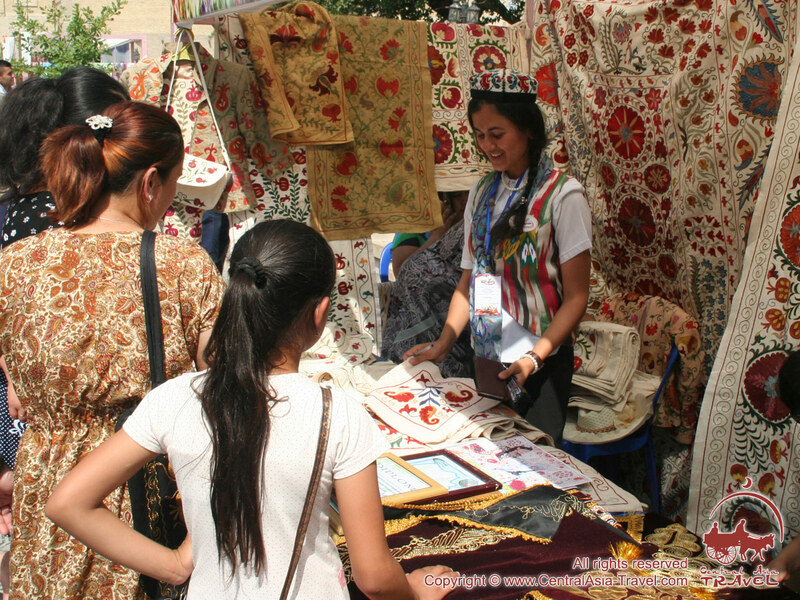 You can easily buy Uzbek souvenirs at local bazaars, tourist sites, hotels or department stores. 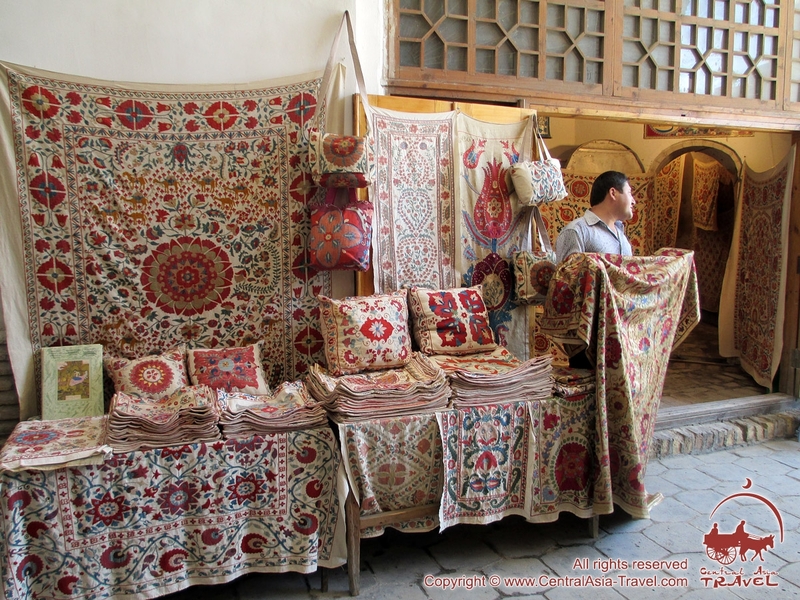 Almost all handicrafts can be taken out of the country but there are some regulations you can ask your guide or tour organizer about. There is a limit on carpets, for instance, and taking out antiques is forbidden. The national flag of the Republic of Uzbekistan symbolizes the country’s traditions and historical links with the states that existed within its today’s territory in the past. The blue stripe is a symbol of blue skies and life-giving water. 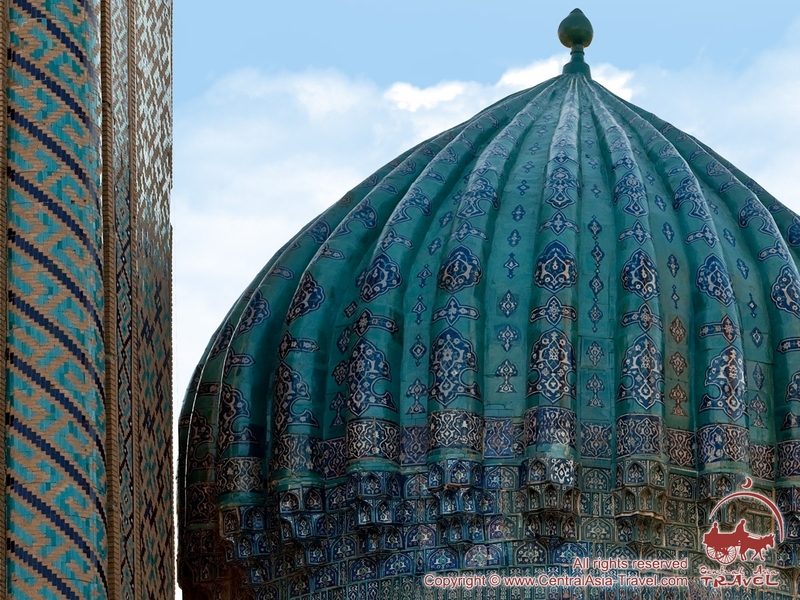 Besides, blue was the color of Tamerlane’s imperial flag. The white stripe symbolizes peace, moral and spiritual purity, daylight, sincerity and best wishes. 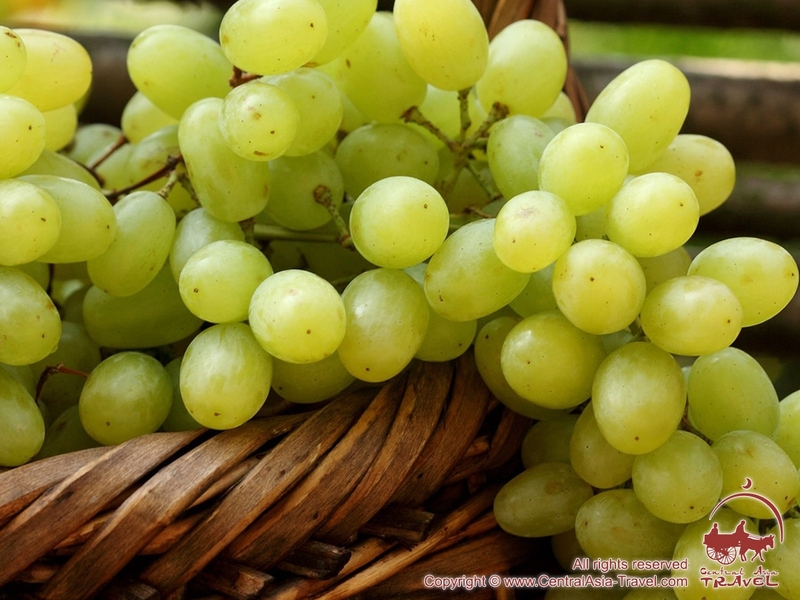 The green one is a symbol of nature, youth, hope and joy. The thin red stripes between the wide ones signify flows of vital force connecting the earth and the sky with people’s pure souls. 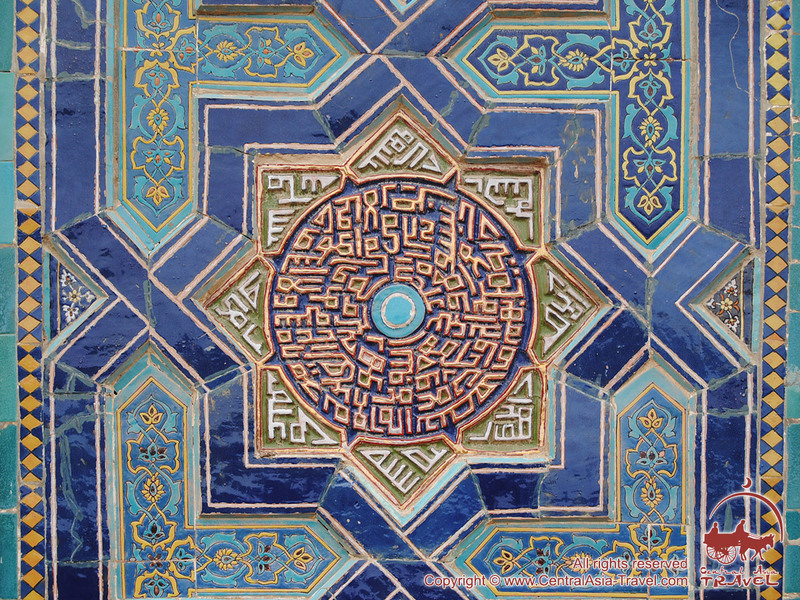 The image of a young crescent moon is a traditional symbol the Uzbeks have been using for centuries in various senses (political power, Islam, etc). 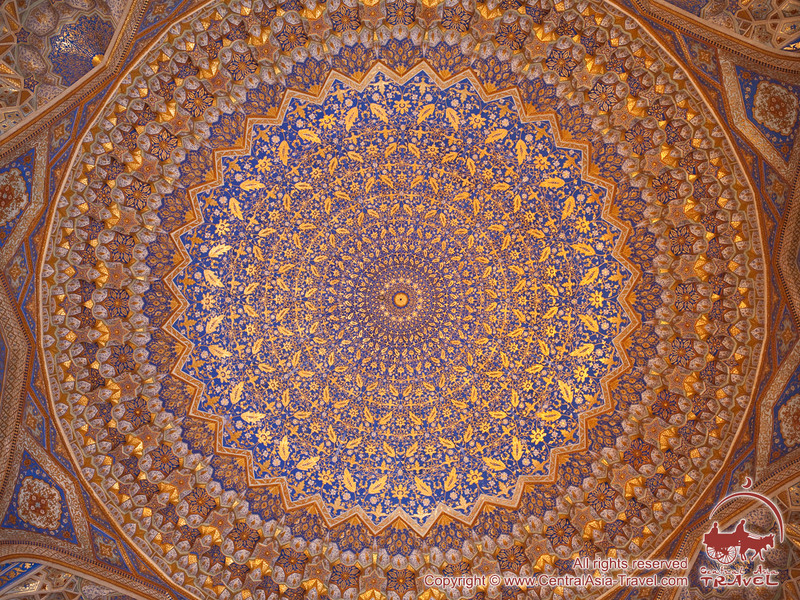 It is also a symbol of the birth of Uzbekistan’s independence. The three rows of twelve stars refer to a solar calendar year which begins on Nowruz, usually on March 21 (Persian New Year; also spelled Nawruz, Navruz, Novruz). They also refer to the twelve principles of ruling a country (set forth in a work of Muhammad Khwandamir, a Persian historian and Islamic scholar; also spelled Khvandamir, Khondamir, Hondemir): justice, prowess, commitment, moral values, etc. According to Asian medieval scholars, the twelve stars also signify universal wholeness and perfection. National coat of arms. The central part of the National Coat of Arms of Uzbekistan is the mythical creature Huma (also spelled Homa, Humo, Khumo), a bird of happiness and love for freedom. Behind it there is a fertile valley with two rivers flowing across it (referring to the rivers Amudarya and Syrdarya) and the sun shining over it. The bird and the valley with the sun are surrounded by a wreath made of wheat (right half) and cotton (left half) - the country’s staple crops. 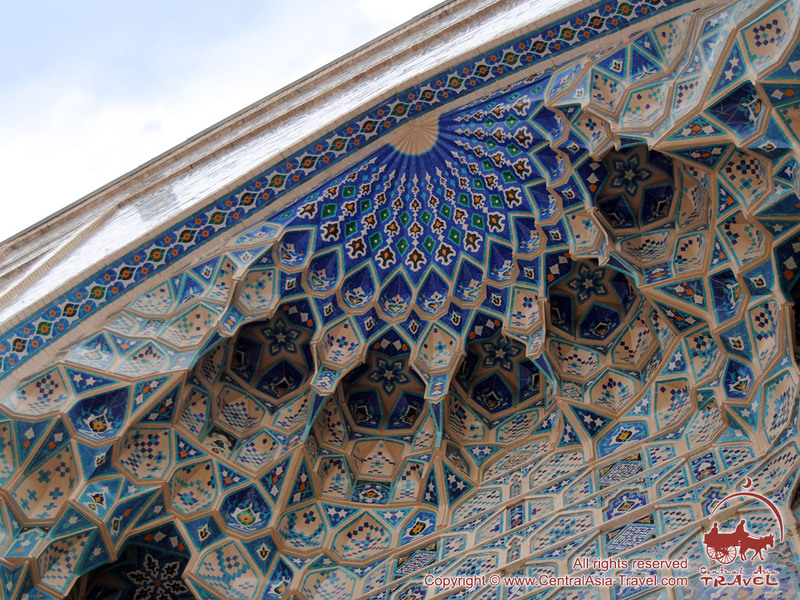 The emblem is crowned with an eight-pointed blue star Rub el Hizb - a symbol of Islam (professed by a majority of Uzbekistan population) as well as the country’s unity - with a crescent and a star inside it. Running around the wreath halves and placed under the bird is a band with the three colors of Uzbekistan national flag. Uzbekistan country code is +998. 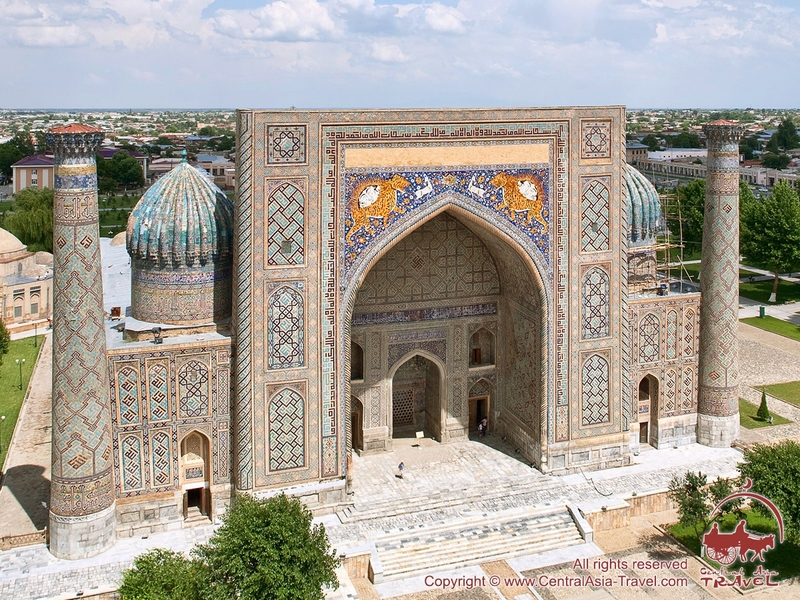 If you are in Uzbekistan and want to phone somebody in another Uzbek city, you have to dial 8, add 3 to the area code for the landline, or 5 to the mobile operator code, and 7-digit subscriber’s number, e. g. 8+3+66+XXXXXXX to call from Tashkent to Samarkand (landline) or 8+5+90+XXXXXXX to call a mobile subscriber from a landline phone. In order to phone from a mobile phone or a land phone to a mobile phone within a city, just dial the 7-digit subscriber’s number (or the this number with the codes from a mobile phone) except the 7-digit numbers beginning with 210 - 211, 120 - 129, 130 - 139, 330 - 338, 109 - 119, 608, 615 - 617, 627 - 629, 655, 701 - 702, 711, 775, 777, 940, 212 - 219, 400 - 429, which always require the country and operator codes for calling from mobiles. (To call from a land phone at these numbers within a city try either the last 7 digits or dial 8+5+operator code before them.) A mobile-to- mobile call between cities within the country requires the codes. 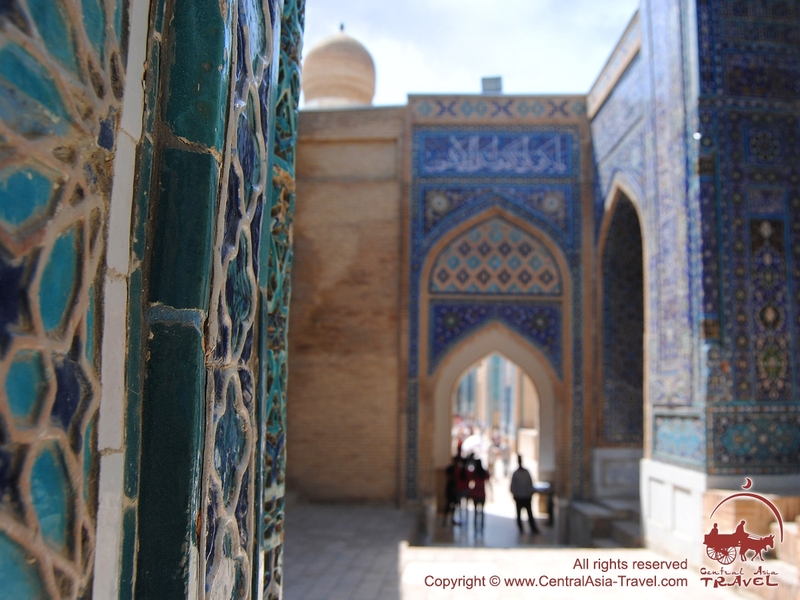 There are 50 embassies and consulates in Uzbekistan (all located in Tashkent). There are over 30 embassies and 10 consulates of the Repulblic of Uzbekistan in Asia and Europe, as well as the USA.